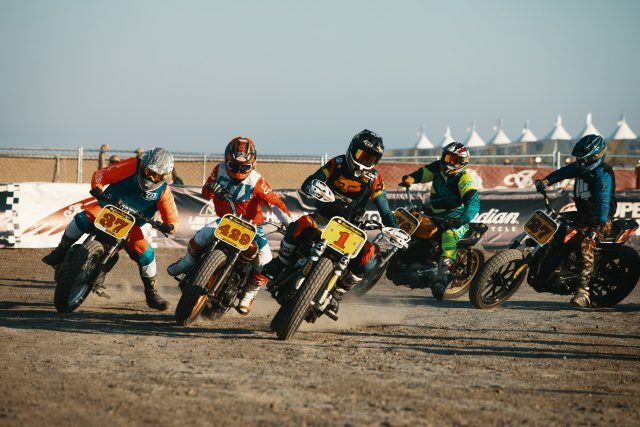 The second annual Moto Beach Classic partnered with the inaugural Surf City Blitz for an epic weekend of 40,000 guests, the Greatest Punk Rock Line up ever assembled, custom motorcycles, surf contest, and moto + surf + punk rock inspired art. 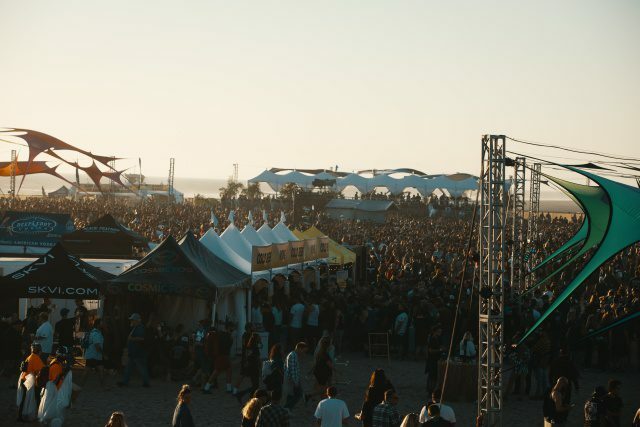 On October 27th & 28th 40,000 concert goers, racers, artists, surfers and motorcyclists descended on Huntington State Beach to celebrate The Moto Beach Classic and Surf City Blitz. Joining forces, they set the bar high with the first true motorcycle & music lifestyle inspired festival with a soundtrack of Social Distortion, The Offspring, Pennywise, Bad Religion, Rancid and many more. Both days featured a racing lineup headlined by the two final rounds of the Super Hooligan National Championship series. Andy DiBrino and Jordan Baber had 1st & 2nd place locked in for the overall championship, but neither left off the gas the whole weekend. Third place was a toss-up eventually going to Brad Spencer with his win on the final race of the season. The dirt track was filled with racing all hours of sunlight from 12 additional support classes: 450 Pro/Am, Running of the Bul’s, Vintage 2 & 4 strokes, Tankshift and Brakeless bikes form the 30’s & 40’s, a Women’s open class and the always interesting Run What Ya Brung. The West Coast Boardriders (WCBR) Hurley Surf and Turf competition took a unique approach to crown the winning team at the Moto Beach Classic. The WCBR added a motorcycle race to their contest format. The surf contest pair’s teams from famous surf cities in a tag-team format with heats based on age groups. Newport Beach was in the lead after the surfing portion. 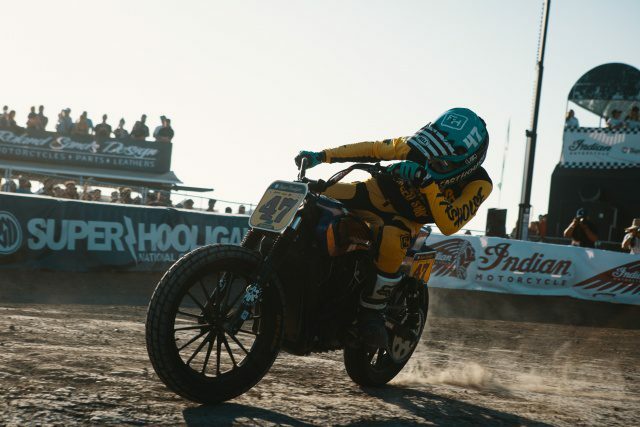 Dana Point, Seal Beach and South Bay were all ready to take the crown but Justin Mulford won both of the motorcycle races leading the Huntington Beach team to overall victory. The GEICO Lot was a free, open to the public, motorcycle entertainment area greeting all that entered the Festival. 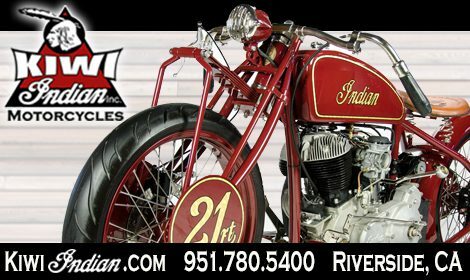 It was a great place to visit with local motorcycle shops, check out the 2019 motorcycle models, try on new riding apparel and shop new products from a host of vendors. Here, BMW hosted the Salty Sprint races, giving racers a chance rip down the 400-foot line on R nineT’s to the checkered flag, where local Kevin Duke took the #1 Bell Helmet. Del Amo Motorsports hosted the Kawasaki Gymkhana race where Nicky Rymer took home a brand new Z125 motorcycle as his trophy. Bell Helmets hosted stunt shows where big bikes got their front wheel at 12 o’clock and shredded endless tires in plumes of smoke while spectators shouted for more. Even the kid’s got in on the action with the Dunlop Kids Demo Course on STACYC electric bikes, starting the love affair for two wheels as young as 2 ½ years old. The Husqvarna Architects of Inspiration Art Show truly brought the Moto Beach Classic and Surf City Blitz together. Art was on display from artists with backgrounds in surfing/skating, motorcycles and music. Steve Caballero, Brian Bent, Matt Hensley, Sara Rose, Warren Fitzgerald, CR Stecyk and many more were featured in a one of a kind art show on the sand. Vance & Hines teamed up with Motul to deliver a stellar collection of custom motorcycles for the Moto Classic Bike Show. The eclectic gathering of rolling art spanned the gamut from road worn vintage Harley’s and Indians to pristine customs from some of the industry’s top builders. Bikes from Max Hazan (Hazan Motorworks), Jay LaRossa (Lossa Engineering), Oliver Jones (The Cutrate), Aaron Guardado (Suicide Machine Co.), Go Takamine (Brat Style), Taber Nash (Nash Motorcycle Company) and many more drew a consistent crowd as concert goers wandered through the first custom bike show on the beach in addled amazement. 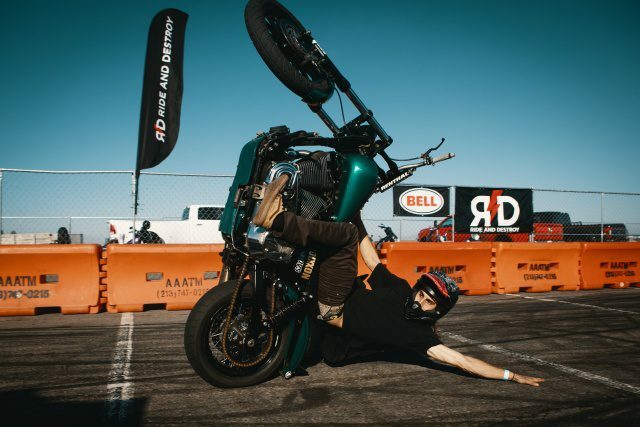 Roland Sands Design (RSD) & Synergy Global Entertainment (SGE) realized early on that the combination of the greatest motorcycle lifestyle event and the greatest punk rock line-up was a win for all involved especially the fans of punk rock and motorcycles. Looking forward to 2019, stay tuned. 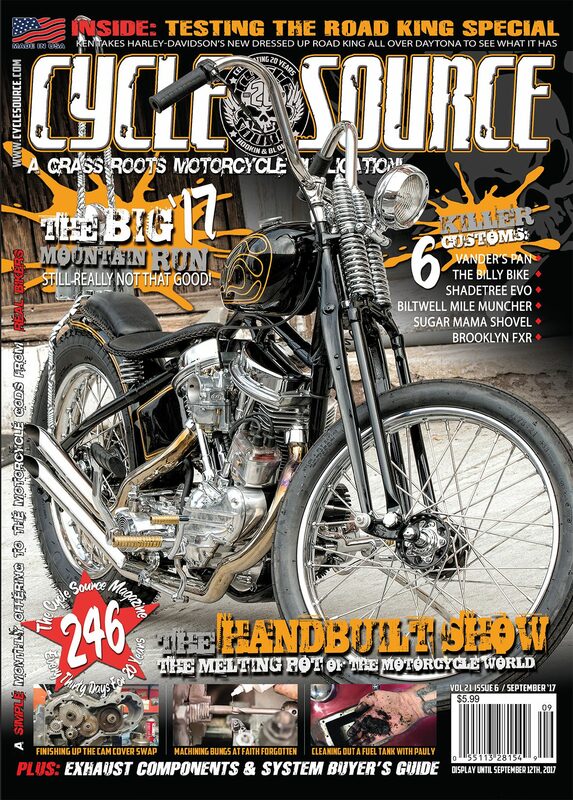 This entry was posted in News and tagged Moto Classic Bike Show, News, Surf City Blitz, Vance & Hines. Bookmark the permalink.